The Hollywood Reporter brings word that actor Efrem Zimbalist Jr., whom many of our readers will recognize as the voice of Alfred in Batman: The Animated Series, passed away yesterday at his ranch in Solvang, California at the age of 95. 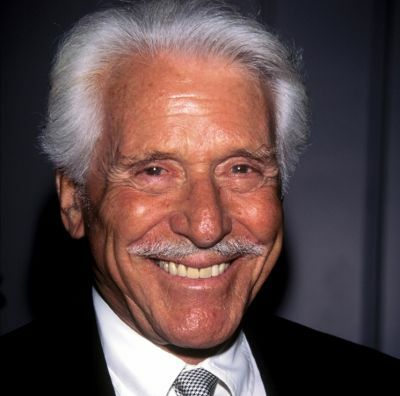 Zimbalist had a long and illustrious career in Hollywood having appeared in a number of films and TV series throughout the years, most notably "77 Sunset Strip," "The F.B.I.," "Remington Steele," "Zorro," and "Babylon 5." He followed the character of Alfred Pennyworth from the early '90s animated series of "Batman" to the feature films Batman: Mask of the Phantasm, Batman & Mr. Freeze: SubZero, and Batman: Mystery of the Batwoman. Zimbalist also voiced the character in the "Superman" animated series, the short lived "Static Shock," and for a few episodes on "Justice League." Batman wasn't the only superhero world that Zimbalist took part in though, as he also provided the voice for Dr. Octopus in the "Spider-Man" animated series as well as Justin Hammer in "Iron Man."